Did you know that there are millions of homes across the country going into foreclosure each and every day, it’s important for every borrower and lender know and understand the process. What is a pre-foreclosure in Salt Lake City anyway? Many homeowners across America and Salt Lake City are facing difficulties making their monthly mortgage payments. All lenders will give the homeowner three months to become current. Of course this number can vary by bank and situation sometimes. If a homeowner fails to make their payments, the lender will start the foreclosure process and take back the property, receiving the home as collateral, and evict the homeowner. Hopefully, during the Utah foreclosure process, the borrower has the opportunity to take advantage of several of many options to help them from losing their home. If the house is not current on payments, you’re likely to receive a “notice of default” from your mortgage lender. This legal document will state that the house payment has not been made for the last 90-180 days. Remember not to panic. 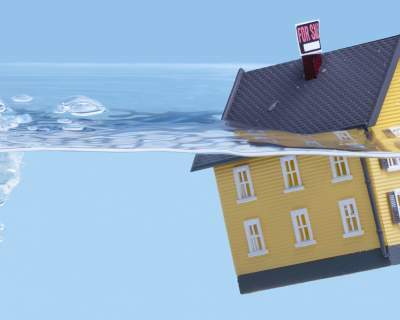 If your mortgage is “above water,” (meaning you have equity or money you can get out of your house) there is a chance that you can refinance your mortgage, receiving lower monthly payments. It’s a good idea to find out from your local mortgage broker… or contact us and we can connect you with a reputable one. There is a chance you can sell quickly sell your home to a real estate investor that’s reputable in Salt Lake City like us at YourPriceMyTerms.com, using the cash acquired to pay the months of back-payments owed (or we *may* be able to work out something with the lender that relieves all or part of your back payments.We can buy your Salt Lake City Utah home quickly, often in just a week or two, will pay in cash, and takes the stress out of trying to find a buyer. Contact the bank and ask them if they would be open to doing a short sale. If you decide to do a short sale, you’ll sell your home for less than it’s worth, and the bank will take the loss as a tax write-off. Some short sales still may required the home owner to pay the difference back to the bank if the house doesn’t sell for what was owed on the mortgage. You may want to consider filing for bankruptcy, which can buy you time to pay your debt. Bankruptcy will remain on your credit report a couple of years, and can cause significant damage just FYI. Lenders are very much aware of your financial situation and will be willing to work with you most of the time. All foreclosures are going to negatively affect your credit score by 200-400 points and can prevent you from obtaining a loan of any sort for 5-7 years, so be very dutiful if you’ve received a Notice of Default from your lender. You can ask us questions and we can provide you FREE guidance and resources so you can make a good decision. The cost is nothing, there’s no pressure, no obligation… just free guidance without any strings attached. If you’re in the beginning stages of pre-foreclosure… you still have time to fix the situation. Call or connect with your bank and find out what they’re willing to do to work this out… or contact us if you’d like to see what we can buy your house for or to tap into our free foreclosure resources.